You’re doing everything to keep your little ones safe on Halloween, but have you thought about your four-legged children? From poisonous candy to ill-fitting costumes, Halloween can end up being a frightening experience for pets. Halloween is one of the most popular spending holidays of the year; in fact, according to the National Retail Association, Americans will spend $370 million dollars to deck out their pets. 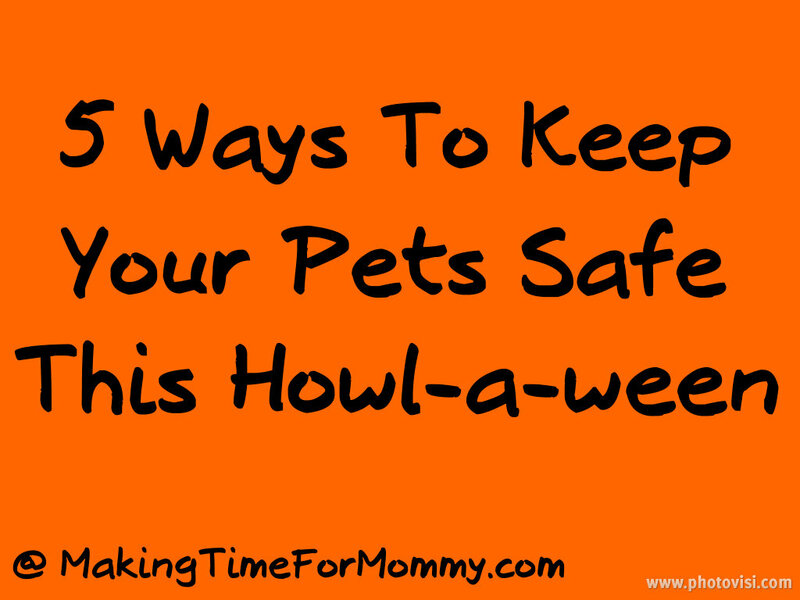 With these simple safety tips from Brad Kriser, healthy pet expert and founder of Kriser’s, the tails of Howl-a-ween will keep on wagging. 1. Pet lockdown – The constant ringing of the doorbell, shouting and spooky costumes can be stressful to your pet; it’s always best to secure them in a separate room during the trick-or-treating hours. 2. Costume check –Before hitting the sidewalks with your pet in costume, make sure they are still able to breathe, see, hear and walk comfortably. Also, make sure that your pet has a reflective collar or light, so that they can easily be spotted in the dark. 3. No tricks or treats – Certain candy, like chocolate, is very toxic to dogs. When you’re not handing out candy to the trick-or-treaters, remember to store your candy bowl out of mouth-grabbing reach for pets. Beware of candy wrappers, too; these can be harmful if digested. 4. Deceiving decorations – Light-up Halloween decorations, artificial spider webs and crafting glue used to make decorations all can be hazardous to pets. Keep these types of decorations to a minimum and as out of reach as possible. 5. Pumpkin threats – Jack O’ Lanterns are the staple of Halloween, but can also pose a huge threat to your pet if they are adorned with candles. Excited pets can burn themselves on the candles or inadvertently knock them over while running around. Also remember to keep your cats inside — and not just the black ones. Halloween brings out the wackos who look for cats to torture.